On Time Every Time! When you have problems with your life saving fire protection systems, every minute counts you’re your systems are non-functional. That’s when you need to know about our exclusive On-Site Response Guarantee™. Each of our contract service clients benefits from our highly-trained staff, discounted rates and site specific response times, 24 hours a day, 365 days a year. Automatic fire sprinkler & pumps, addressable smoke detection, laser early warning detection systems, gaseous suppression systems, fire extinguishers and 24-hour UL-listed central station monitoring. Typically, all this would take three or more contractors to service an account. ARCO Protection Systems offers total service integration without multiple subcontracts and finger pointing. No added costs or time required to manage. In fact when consolidating services you save money and time. Incorporated into each contract is a schedule of code-required inspections. During the contract term, we proactively call you 30+ days prior to the required inspections. From company inception our main focus has been and still is providing a level of service second to none. 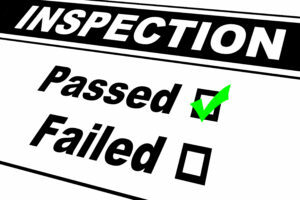 Every inspection is performed 100% in compliance with a national, state and/or local written guideline. Our reputation as a premiere service provider has grown our service account base to more than 500 clients serving over 14 states. Computer generated paperless inspection and service forms that are easy to read and understand. Each system within a building has its own reports and dedicated file for record purposes. Wireless dispatch and reporting for fast turnaround. We have an office staff that are dedicated to customer service support. Some specific to individual clients based on client size and needs. We provide and write into each contract guaranteed maximum response times on site with monetary penalties to ARCO if we don’t meet those times. Most of which are within 2 hours from authorization to proceed. Secure backup and redundancy: Our Web-based off-site redundant servers provide instantaneous disaster recovery. From remote locations, we can respond to all customer requests for service. Our field technicians receive factory authorized and continuous in-house training, and are company required to be NICET Certified in their respective trade. We invest heavily in modern tools, equipment and vehicles. Some of our specialty equipment includes: room integrity test equipment, flame detector simulator, audible simulator, smoke detection sensitivity meters, dB meters, halogen leak detectors, borescope internal pipe camera, pipe wall thickness measurement meter, backflow preventer test tool, hose monster fire pump flow test apparatus, and pressure reducing valve test apparatus. Having the proper authorized distribution, highly-trained staff, and required licensing we are your true single-source fire protection contractor. Call our office today for a free no-obligation service survey and quote.